Principality Building Society mortgage review - Which? 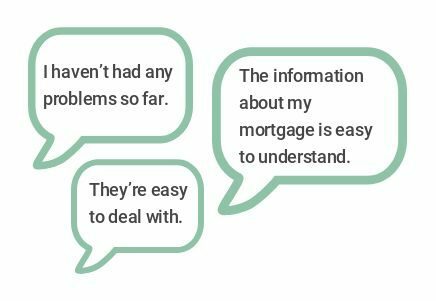 Our Principality Building Society mortgage review combines customer feedback with expert deal analysis to reveal whether the lender is worth considering next time you apply for a mortgage. Principality mortgage customer ratings What kinds of mortgages does Principality offer? Does Principality offer the best mortgage deals? Interest rates on Principality mortgages How much could I borrow from Principality? The table below shows how Which? Recommended Provider Principality performed in our latest mortgage satisfaction survey, from application process to value for money. Star ratings based on a June 2018 Which? survey of 3,560 members of the general public, in which 32 people told us they had their mortgage with Principality Building Society. Where no rating is given the sample size was too small. What kinds of mortgages does Principality offer? Mortgages from Principality are only available for properties in England and Wales. When we checked in July 2018, there were only 30 mortgages available from Principality - a relatively small number compared to other lenders. Most mortgages from Principality were fixed-rate mortgages, meaning your interest rate is guaranteed to stay the same for a set number of years. Fixed-rate deals were available for two or five years. There were also a small number of two-year discount deals available. Does Principality offer interest-only mortgages? Yes; the most you could borrow is 50% of the property’s value with a residential interest-only mortgage. You must own at least £150,000 of equity in the property to be eligible. Does Principality offer the best mortgage deals? Which? analysis has found that Principality offers more cheap mortgages than the average lender. When we checked in July 2018, the average interest rate of a two-year fixed-rate mortgage from Principality was 2.03%, compared to the industry average of 2.81%. How much could I borrow from Principality? Below we’ve outlined how much you could borrow from Principality in relation to the percentage of a property’s value. If you want a 95% mortgage from Principality, you'll need to live in Wales or certain postcode areas in Shropshire, Herefordshire or Cheshire. For new-build homes, you could borrow up to 90% of the property’s value. All mortgages from Principality come with the option to overpay. You can make overpayments of up to 10% of the amount that’s outstanding on 1 January of that year before an Early Repayment Charge applies. How can I contact Principality? Principality can be contacted on 0330 333 4000. If you’re applying for a mortgage on a leasehold property, there must be at least 85 years left on the lease at the time you apply. You won’t be able to apply for a mortgage from Principality for a studio flat. For high-rise flats, Principality can only lend if the block isn’t more than six storeys. You’ll need to have at least £20,000 in income to be eligible for a buy-to-let mortgage. Alternatively, if you’re applying with another person, your joint income must be at least £30,000. Below we’ve outlined how much you could borrow on a buy-to-let mortgage from Principality, in relation to the percentage of the property’s value. If you have more than three mortgaged rental properties, including the one you’re looking to mortgage, you won’t be able to get a buy-to-let mortgage from Principality.